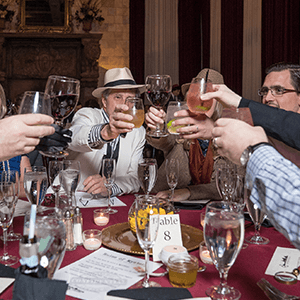 Murder Mystery Dinner in Milwaukee | The Murder Mystery Co.
Planning your next party can be as easy, all you have to do is team up with The Murder Mystery Co. in Milwaukee! Our mystery experts will take over and turn your event into an adventure full of mystery and intrigue! 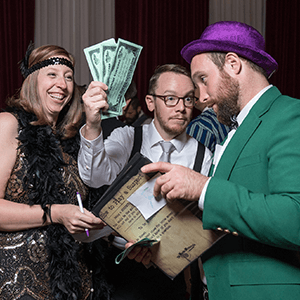 Live-action murder mystery parties are Milwaukee's most unique and engaging way to entertain for privately hosted events. 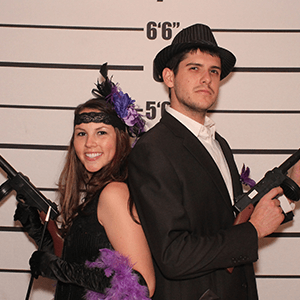 The Murder Mystery Company is Milwaukee’s Expert in Mystery Entertainment. 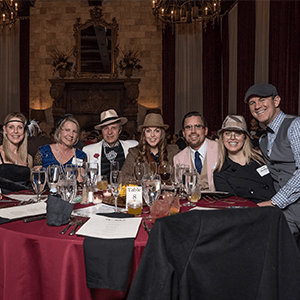 The Murder Mystery Company is taking your next dinner out or private event in Milwaukee and turning it into a killer evening of fun, fantasy, and a mystery to solve! 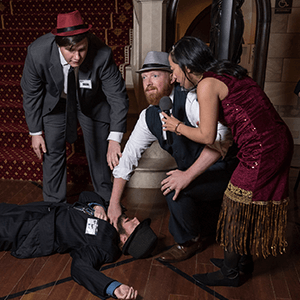 You get to enjoy two hours of mystery and mayhem with our Clue style crime scenes that immerse you in a thrilling game of whodunit! Our public shows have it all – food, fun, and murder, of course! 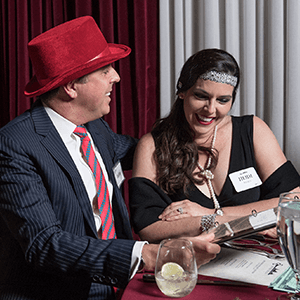 Snag tickets to the perfect night out with a three course dinner and two hours of killer entertainment you won’t find anywhere else. Everyone has done dinner and a movie, but why not enjoy some live entertainment right at your table while you dig into a delicious three course meal? Even better, you get to be part of the show! Instead of sitting and staring at a big screen, you get to be part of the plot, finding clues, and unmasking a murderer just in time for dessert! Our mystery experts can’t wait to start sleuthing with you!